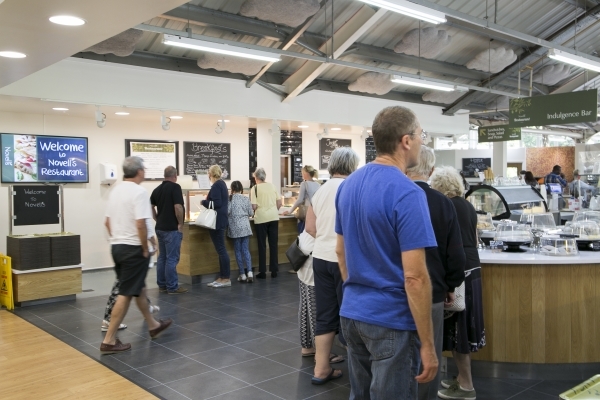 The Polhill Garden Centre food hall is award winning, meaning it’s the perfect place to treat yourself to a cup of tea and some cake or your dinner time meal. 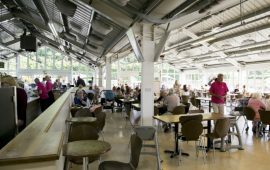 Our newly refurbished Novell’s restaurant is exactly the place to wind down after a few hours of shopping. 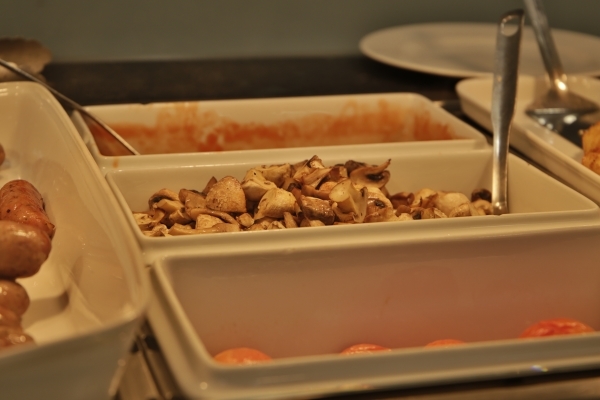 All food in our restaurant and bistro is made fresh from local ingredients every day. 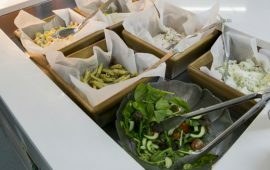 Our menus feature something for everyone, from Mediterranean flavours to classic English dishes and a range of different gelato flavours to a huge array of homemade cakes and bakes. The Novell’s restaurant features a large percentage of dishes cooked entirely from fresh, local ingredients and suppliers including Watts Farm, whose produce is always fresh and to an excellent standard. 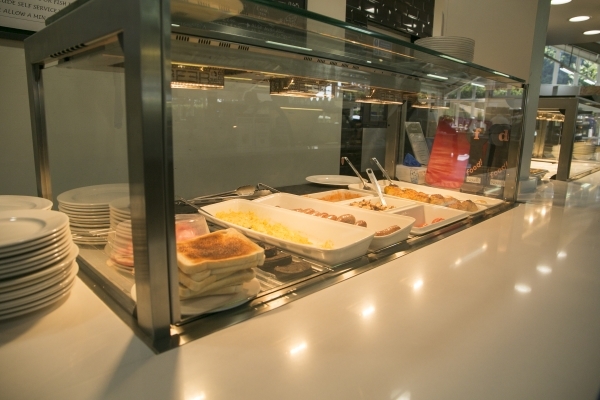 With a deli bar, pizzas, salads, sandwiches, cakes, hot meals, unique jacket potatoes, homemade scones and vegetarian choices available, there’s something for everyone. 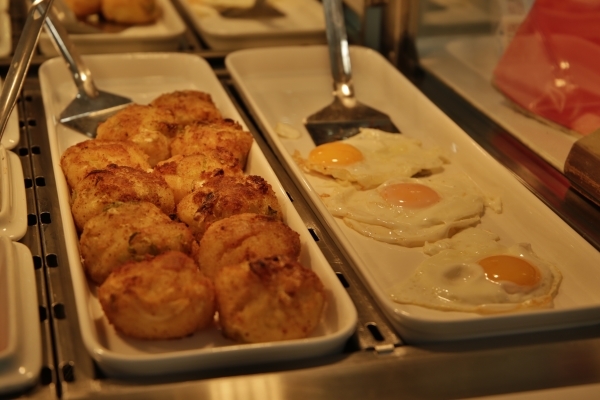 You select one of our handpicked coffees and delicious meals and we’ll prepare with care. Our brand new play area is the perfect place for children to roam and is located outside the Novell’s restaurant. Featuring all weather surfaces with slides, climbing frames, go karts, boats and crazy golf. 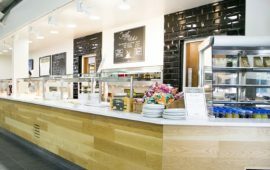 Our Bistro is the perfect environment if you’re looking to grab a freshly prepared meal showcasing a unique menu to that of our restaurant. 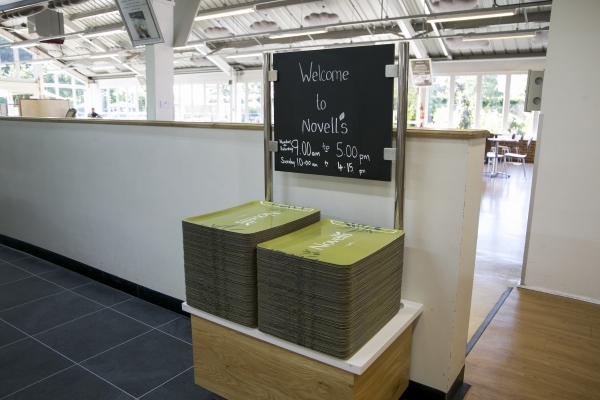 This presents the perfect opportunity on choosing on where to eat within Novell’s dining area. 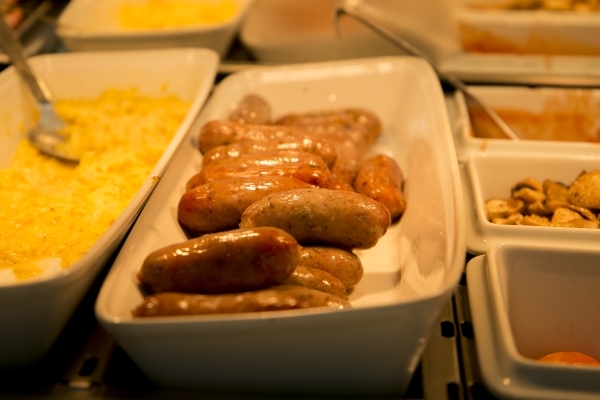 There is a plethora of choice starting with pasties and sausage rolls, hot baguettes and rolls, where you can choose from fillings such as bacon, chicken, sausages and brie to name a few. 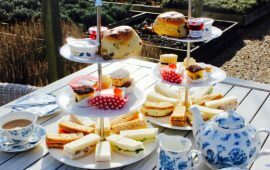 If you are really feeling like spoiling yourself there is also a wide variety of cakes to choose from which can be washed down with a soft drink or any option which is available on the hot drinks menu. 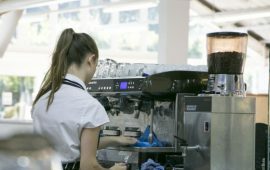 With our award-winning food hall, we strive on providing you with not only the best food possible, but the highest quality service to go along with it. 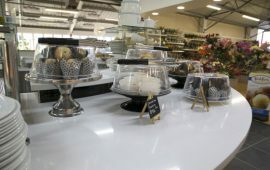 We look forward to welcoming you on your next visit to Polhill Garden Centre. We recycle our food waste and is turned into renewable energy for the surrounding Kent area.